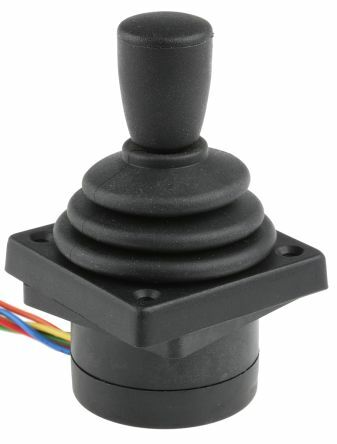 RS Components stocks a full range of joystick switches to support any automation or electronic application. 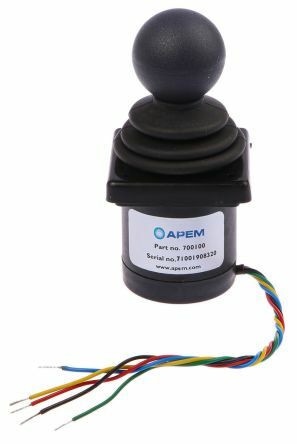 You will also find a complete range of accessories such as joystick interfaces, control knobs, boots and wire harnesses. 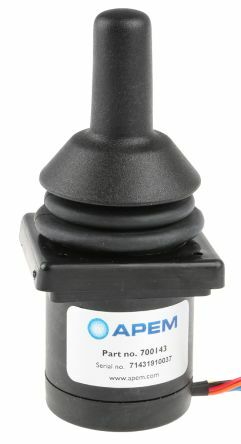 Apem 3000 series is the latest generation in high precision contactless joysticks.It is available in two or three axes formats. It is designed for performance,strength and robustness. Prewired with cables and connectorsShallow installed depth,20mm below panelHall Effect sensingEMC Shielded.